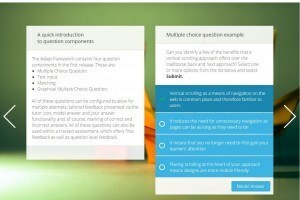 eLearning Authoring Tools / Authoring Tools – Are You Up To Date? If you’re overwhelmed by the choice of authoring tools on offer you’re not alone. Your options when looking for some advice on which tool to choose are limited to reviews of the first release evolves of major applications or more generalized guidelines on different types of authoring tools. When you’re busy building effective eLearning it’s hard to keep up with the incremental changes that add up to create important new capabilities in various software, especially if you have your own favorite or a client requires you to work with a single program. We’re going to look at the very latest updates to the most popular packages and tease out some trends that point towards where authoring tool development is heading, so you can make an informed decision for your next project. 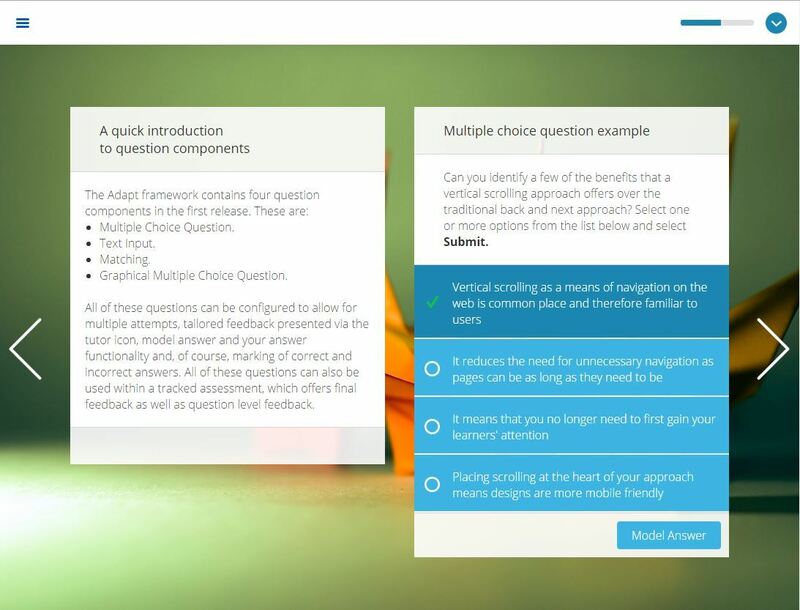 Storyline is one of the most popular authoring tools in the eLearning developer’s arsenal. Version 2 was released in September 2014, and May 2015 saw the fifth update which introduced several new features focused on accessibility. One of the most common requests eLearning developers hear is for editable content, so one thing to be aware of, if your client uses Storyline 1, is that it can’t open and edit courses created or upgraded with Storyline 2. 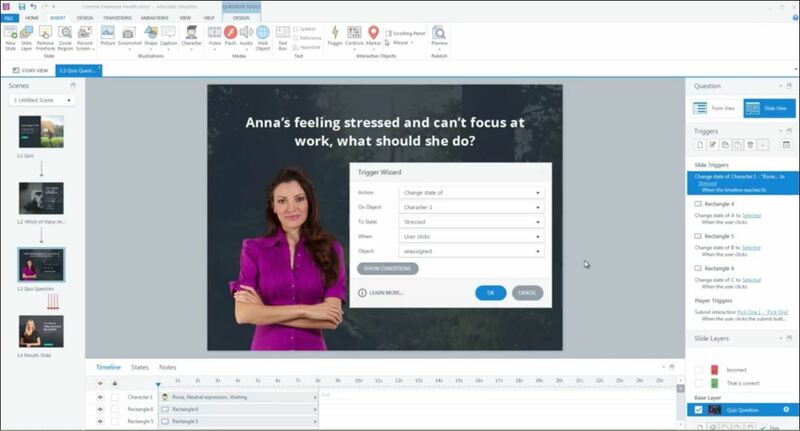 Articulate has been improving the course upgrade workflow in each update, making it easier to move your Storyline 1 modules to the new platform, but anyone wanting to edit the upgraded files will need the latest software. Lectora has been popular with developers who need to offer accessible content across a variety of platforms, and the latest updates have built on these features. 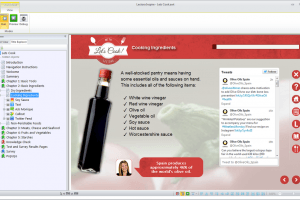 December 2014 saw the release of Lectora Publisher 12 and Trivantis has followed up with 12.1 in April 2015 with some extra features, including integrating feedback through ReviewLink 2.0. The last major revision of Adobe’s popular Captivate tool saw the introduction of responsive output, by allowing you to create three different views of your module so that you can deploy the same content to mobile, tablet, and desktop. 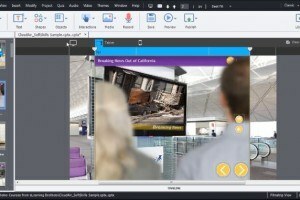 Since Captivate 8’s release in May 2014, there have been several updates building on the new capabilities; most recently with the October 2014 release, Adobe having added the ability to publish the module as an app from within Captivate. 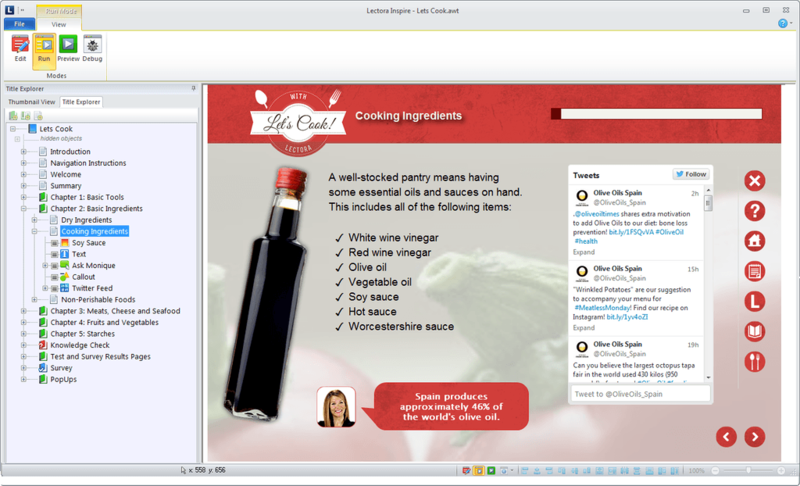 The open source, responsive framework for developing multi-device eLearning saw its first authoring tool released in April 2015. 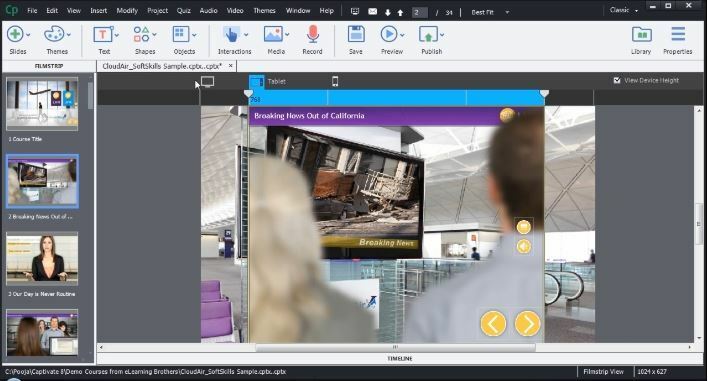 Adapt Authoring Tool 0.1.0 still requires some technical input to install, but it supports many features that will help Learning & Development developers create and update their courses. One advantage of an open source project like Adapt is the community of developers constantly working to update the tool's core functions and create plug-ins to support more features in between the major updates. Adapt differs to other options by being built from the ground up as a tool for creating responsive content, with the core functions allowing you to add many standard course elements and the plug-in friendly structure allowing many more possibilities when necessary. The next milestone for the project will be Version 2 of the underlying responsive framework; it’s scheduled for release soon, and it will include improvements to accessibility, native support of right to left languages, and several updates allowing more question layouts. Responsive design incorporating HTML5 is clearly one of the key features of the major options for eLearning authoring. The blended learning approach is here to stay and the improvements and optimizations that software providers are introducing ensures that content for mobile learners will be easier to create than ever. 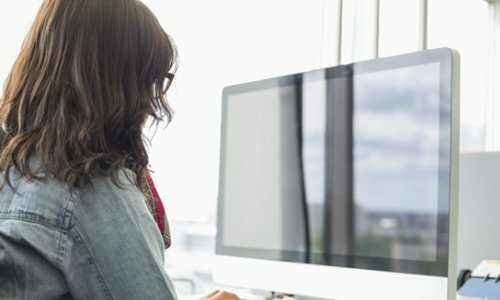 Accessibility is increasingly important, as it’s something that all eLearning designers should be aware of, and by incorporating the WCAG 2.0 standards into the tools they are using it can only help keep it at the forefront the development process. Flexibility (beyond responsive delivery of the final module): Every tool provider is making steps to create a development environment that is as flexible as possible. From allowing users to re-arrange the layout of the tools UI to exporting the modules in a variety of formats, and even as finished mobile apps. The tools are becoming more and more versatile. What’s clear when looking at the various innovations and incremental improvements across the industry is that competition is helping drive progress in all areas. Most eLearning developers will have a good working knowledge of a range of these authoring tools, and, with the various strengths and unique qualities of each, this will give them an even better chance of offering the best possible eLearning for their audience.